Melo Group broke ground late last year on a new multi-level restaurant complex in the Miami River, which will include a Sushi Samba. 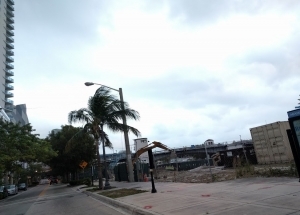 The developer recently submitted revised plans for the complex across from the Flagler on the River Melo Group broke ground late last year on a new multi-level restaurant complex in the Miami River, which will include a Sushi Samba. The developer recently submitted revised plans for the complex across from the Flagler on the River apartment complex, and toned down the architecture. The new plans call for a three-level building with 19,788 square feet of space, designed by ITEC Design. Next door, commisioners recently approved the Riverside Wharf complex, which is proposed to include four restaurants. Across the river, Chetrit Group and JDS Development are building a restaurant and club. complex, and toned down the architecture. 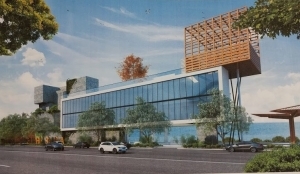 The new plans call for a three-level building with 19,788 square feet of space, designed by ITEC Design. 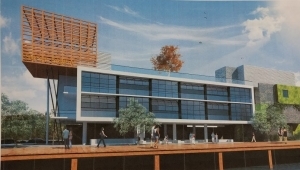 Next door, commisioners recently approved the Riverside Wharf complex, which is proposed to include four restaurants. Across the river, Chetrit Group and JDS Development are building a restaurant and club.